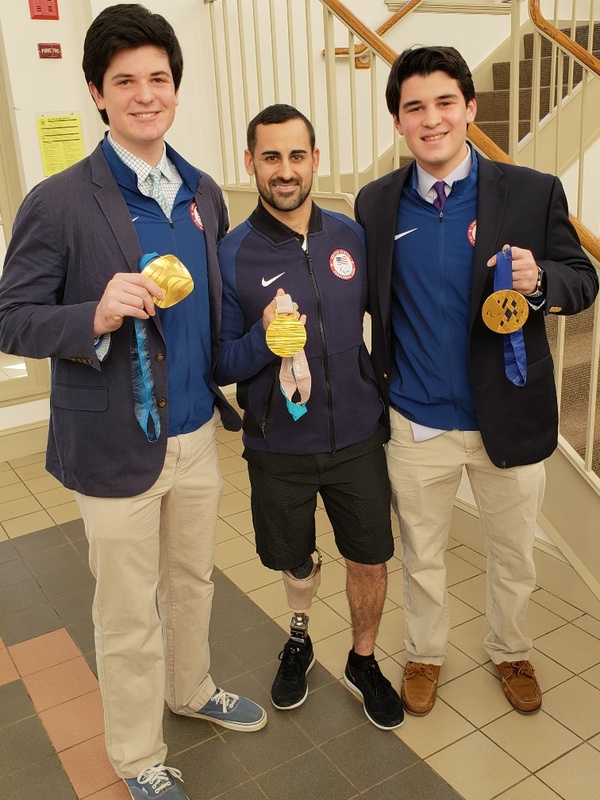 Three-time Paralympic gold medalist Steve Cash was tabbed 'celebrity guest' for Landon High School's "Haircuts for Heroes"
When Landon High School’s hockey team’s Ethan and Max Weinstein reached out to Steve Cash, a three-time U.S. Paralympic gold medalist, to help raise awareness for a charity event, the answer was simple. 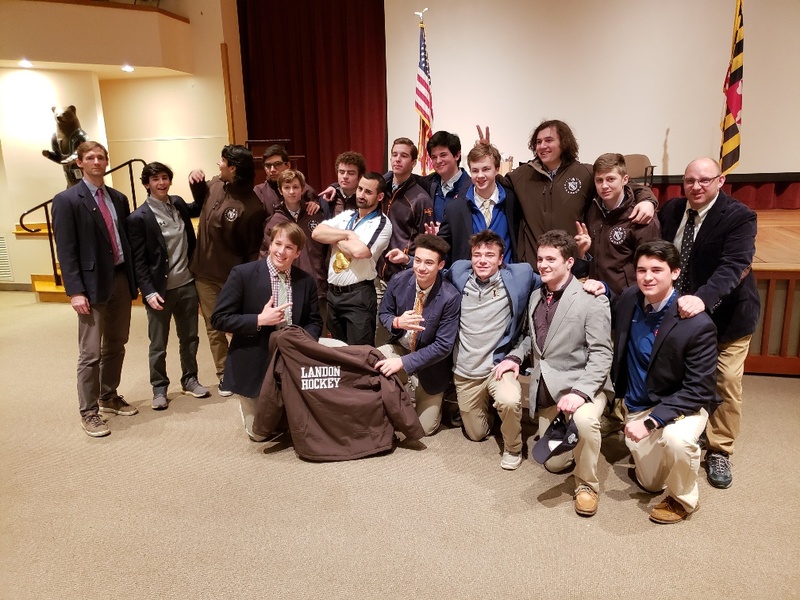 The event, “Haircuts for Heroes,” sees players on Landon’s high school hockey team shave their heads to raise money for the Johns Hopkins Kimmel Cancer Center. Originally named “Be Brave and Shave”, the event started when Ethan and Max were in seventh grade. By the time they arrived to high school, the event found itself in limbo when one of the organizer’s kids graduated. With one of the Weinstein’s teammates going through pediatric cancer, reviving the event game them the inspiration to give back to the community and reboot the initiative. With the 2019 date set for Jan. 25 and fundraising already underway, the Weinstein’s turned their attention toward bringing in a celebrity guest. Cash, a pediatric cancer survivor who has led the U.S. National Sled Hockey Team to three Paralympic gold medals (2010, 2014, 2018) and world championships (2009, 2012, 2015), seemed like a perfect fit to help spread awareness. Cash’s visit started on Friday, where he spoke at a school assembly about his own experience overcoming pediatric cancer. That was followed by lunch, where Cash sat and ate with the hockey team. That evening, Cash was on hand as members of the hockey team shaved their heads ahead of its game against Bishop O’Connell. The experience blew Cash away. Similarly, Cash’s presence and his own life experiences left an impression. Cash was diagnosed with bone pediatric cancer at age three. The end result for a hockey-loving young boy was having his right leg amputated. Growing up a St. Louis Blues fan admiring eventual U.S. Hockey Hall of Famer Brett Hull, Cash found his niche through sled hockey. Already part of a hockey family, Cash was drawn to the fast-paced nature of the sport. He joined the Blues’ Disabled Athlete Sports Association in 2004. Settled in as a goaltender, Cash quickly went up the ranks and landed a spot on the U.S. National Sled Hockey Team the following season. The position is one that brings with it immense responsibility, something Cash relishes. Cash won his first Paralympic gold medal in 2010 at the Paralympic Winter Games in Vancouver, setting a Paralympic record for registering five shutouts and not allowing a single goal in tournament play. Four years later, Cash again backstopped Team USA to a gold medal, the first time any nation successfully defended a Paralympic gold medal in sled hockey. Last March, a chance at an unprecedented third-straight Paralympic gold medal seemed bleak before a last-minute tying goal and an overtime game-winner — both by teammate Declan Farmer — secured a come-from-behind win. “It was really cool hearing his story. He told us a lot about his experiences and it was cool to spend time with him and know that he was here for us,” said Max. Cash’s impact not only for sled hockey in the United States but in the community attending an event like “Haircuts for Heroes” will be a lasting one on those high school hockey players.